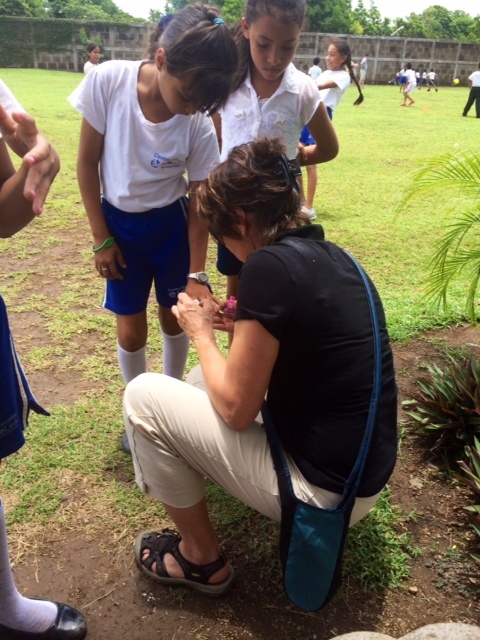 Today is our last and final day in Managua, and boy it was sure a good one. Today was filled with adventures. We started the day with a little bit of sleeping in ( breakfast was at 7:30 instead of the usual 6:30). After battling the traffic we finally made it to the area where we chose to do our canopy tour/ zip lining experience. Everyone who has not done this before did it and even tried some crazy moves like superman (self explanatory) or the monkey (inverted and backwards). It was amazing and the staff was excellent, cracking jokes the entire time. There were some priceless looks at the end of the tour and the guides were bouncing us up and down, but I dont think that we got these looks captured unfortunately. Many of us are lacking words to discribe this experince, other than blessed. Another adventure our team got to embark on today was the trip to the Managua market. 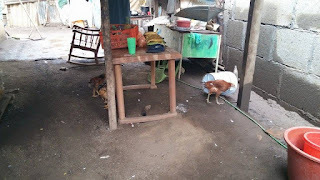 Many were shocked as people were coming up to us with chickens and roosters hanging upside down [still alive] trying to get sell them. It was a great experience with many cultural products that we were able to buy. 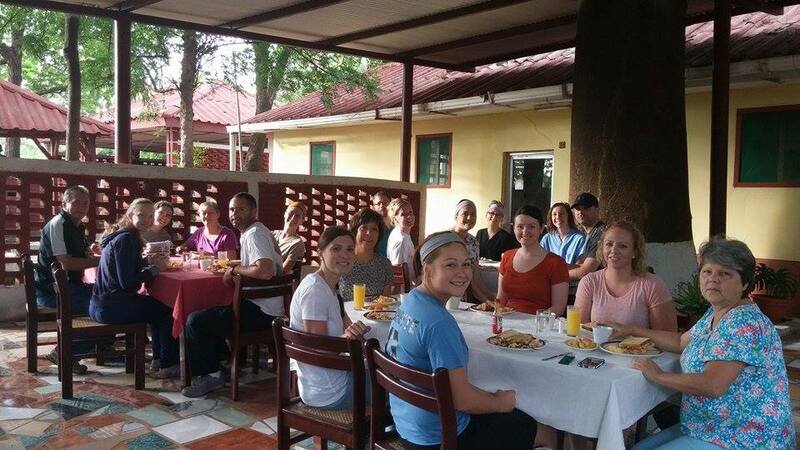 Many of the people on the team bought hammocks, stools, beautiful paintings, wood crafted bowls, and jewerly. It seemed as if everyone on the team enjoyed the market and many people said "I could spend all day here, there is just so many things to buy. It was a blast." There was never a dull moment in the market, between the beautiful prodcuts being sold and the wonderful team it was an absolute blast. 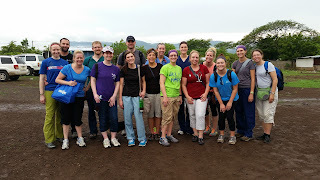 The team then ventured our way to Volcan Messiah to experience a live and very active Volcano. This volcano was very large, recently erupted (within the last five years, YIKES!!) and smelt of sulphur. It was slightlly difficult to see into to it because it was very smokey and hot with fumes. At the top of the volcano is a cross, with approximately 300 steps to the top and is now forbidden. This is the home to which ancient civilization would perform human sacrifices. This civilizaion was then resurrected by a holy man and a cross put in its place to cease the sacrifices. The side that is the base for the cross is now forbidden for tourists because the entire side of the slope is eroding away and is tretcherous. Upon arriving and parking with rear facing vehicles due to possible emergent exiting of the park. Don't worry everyone! We made it out safe and sound. For more pictures, visit us on Facebook. Thanks to all who donated shoes at our Walk/Run for Hope, we were able to provide shoes to those in need through our "Sole Mate" project, including 2 pairs to "Grandma" and 50 pair to a girls home that rescues girls who are living on the street. Today was our final day serving in a medical clinic in Nicaragua. 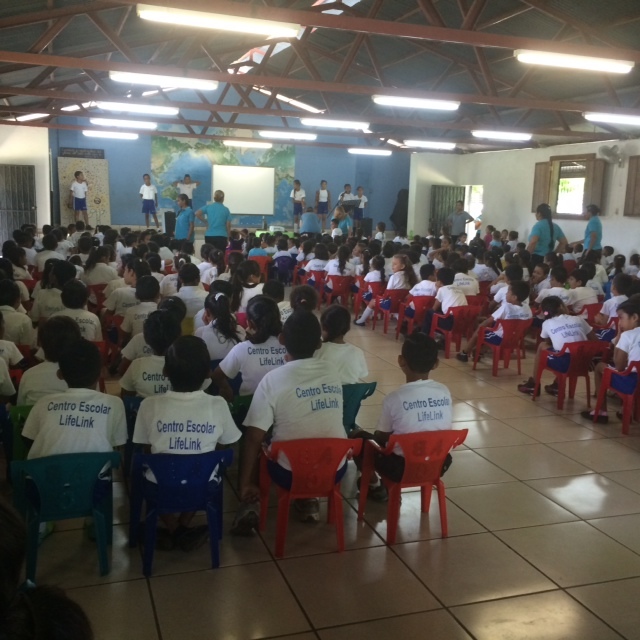 We were, once again, based in a school within a village outside of Managua. Mike, the leader of Lifepoint, told our group that this community had very little access to healthcare when compared to other areas we had already served. There were many happy and grateful patients seen today. We had our busiest day today, serving a total of 315 patients. As in previous days, we were able to provide needed medical care to many people. 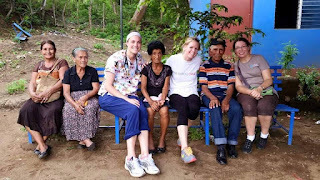 In each case, it was a blessing to be able to provide relief to the complications these people were struggling with. Our patients had a wide range of ailments we treated today, from the common cold to more serious infections and conditions. We even determined one patient needed to be sent directly to the hospital by ambulance! The team returned to the hotel exhausted but in positive spirits. We met after supper to discuss moments that impacted us for the previous three days. 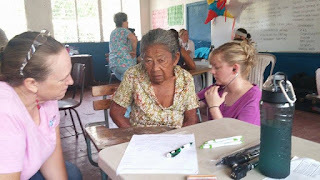 Discussion ranged from interesting Spanish miscommunication stories to "wow" moments we experienced with our patients. Mike summed up our discussion by encouraging our group to consider our future plans after leaving Nicaragua. He said we ought to consider how we can give back to our families, communities, and world seeing God has blessed us richly with the education and resources we have. Today we set up our clinic in another remote area in the mountains of Managua. We saw around 240 patients in the clinic today which was a bit more compared to yesterday, and it was alot more humid! Also, the clinic yesterday had luxurious bathrooms compared to the bathrooms today. Again, there were plenty of dogs wandering around, and this school also had chickens running around and a pig onsite. The people who lived in the town were all very friendly and very appreciative of the care we were able to give them. A small dose of tylenol for their joint pain or glasses for reading made their day-- makes you realize how so little can go a long way and how fortunate we are in America to have such great access to healthcare and resources. It is definitely eye opening how they live here and how blessed we are in America. There homes are made of tin, streets were flooded, they don't have flushing toilets, access to water, shoes and extremely limited healthcare. While they may be able to go to a clinic or hospital, many times they cannot afford the medications to treat their conditions. 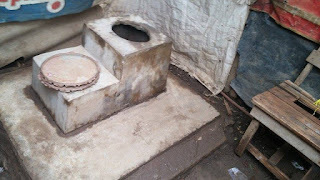 Despite the conditions they live in and the suffering they may endure on a daily basis not one person came off as demanding, hopeless or in despair. It is truly inspiring to see how happy, grateful and thankful they are to be recieving care from us. Much different from the "I want the best and I want it now" American way. Much of the American culture is very materialistic and places far too much emphasis on objects. 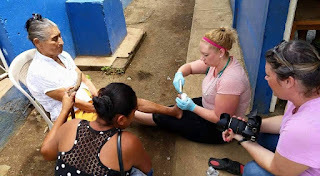 It can be discouraging at times to see the healthcare here in Nicaragua, but in Luke 10:9 Christ tells us to "Heal the sick ..." I like to think that that's what we are doing here, even if it's just temporary relief. There is such a great need for healthcare here that the community leaders have to pass out tickets in order to be seen in our clinic. It's sad to think that the conditions here are all the Nicaraguan people know. We would encourage everyone to count their daily blessings and try to give back in some way. The people of Lifelink International are doing some great work down here, and I would encourage everyone to take a look at their website to see what they are all about. Everyday we are here it is a privilege to be able to help them in their mission. 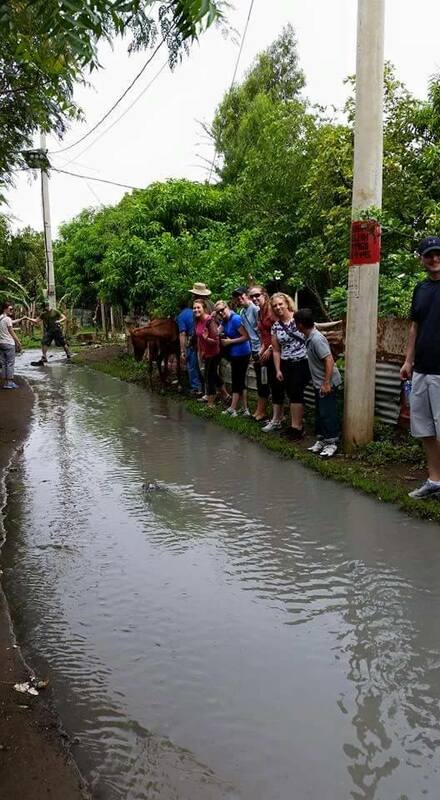 We are at the beginning of the wet season here in Nicaragua [Nicaraguans call it winter], and at the end of the day we experienced some HEAVY rain. In fact, the location we were working in today was so remote, Mike [Lifelink's fearless leader] was just about having a heart attack worrying we were going to be stuck there because of flooding on the roads. Thankfully, we got out of there in the nick of time and all arrived back at the Hotel safe and sound, no worse for the wear. However, while we were blogging, the power went out, only to turn back on in one minute. Weird, huh? Anyways, everyone in the group is getting along well, we are all safe, and we are thoroughly enjoying our time here! Keep checking back for more updates as the electricity and Internet allows! Check out the Hope Without Borders facebook page for more photos. Today we went to a remote area in Nicaragua and provided basic medical care for about 250 people. We saw a lot of kids and some of their parents. 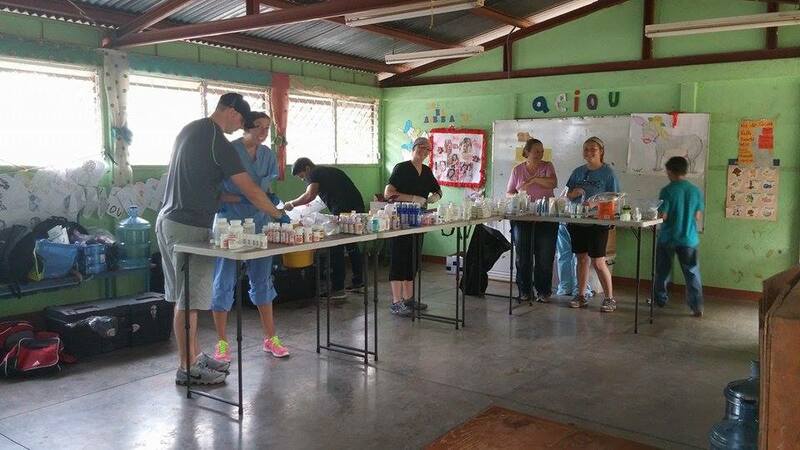 It was eye opening caring for these patients- many of them needed simple things like ibuprofen or tylenol. 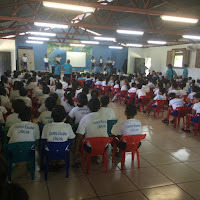 It was different working with a translator, however we were able to help a lot of people so that was good. 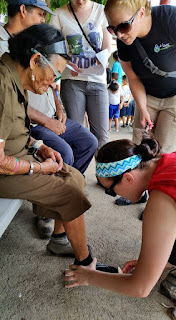 One of the cultural differences was a lot of animals in the clinic. There were 2 dogs that were play fighting in the school where we were when we arrived. We were informed that they may be someone's dogs or they may be stray dogs that have just wondered in. Throughout the day, there were a number of dogs that wondered into the clinic- some were stray and some came with their owners- none of them needed medical care though! This parrot came with this boy's family into the clinic! While privacy and HIPPA laws are huge in the US, Nicaragua does not have the same policy. We saw everyone in the same room and groups of families would come in together. At times, it seemed overwhelming to have so many patients walk up to you at once, but they were friendly and were patient. Here is where we triaged and registered patients. Our paperwork is much more straight forward than it is in the US. Registration is a lot easier because no one here has insurance since they have socialized medicine. Therefore, they can see a doctor for free, but usually have to pay for medications. The free healthcare is not always very good, so these people have very limited access to good healthcare. It is possible to pay for better healthcare, but you have to be able to afford it. The pharmacy stayed busy all day. We did not bring a pharmacist so we were in charge of dispensing medications. We had limited resources, so when we ordered meds we had to consider what the pharmacy had to work with. As the day went on, they ran out of supplies and the three students working in pharmacy had to find different meds to treat patients with an even more limited selection. Because most patients came in family groups, they went to the pharmacy in large groups which could be overwhelming at times. On the way back to the hotel, we saw some of our patients leaving the clinic- they were waiting for the bus or driving a cart pulled by an ox. It was heart breaking to see how far these people came for basic medical care. 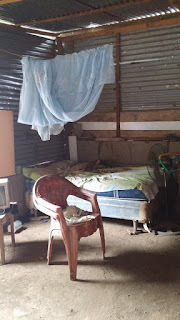 It was also sad to hear about the care that they had from the public healthcare system. Many patients could not afford medications, so they would come and ask if we had medications to treat something they had been diagnosed with months ago. Often it had resolved. After a long day of work, we returned to the hotel, had some downtime before having an excellent dinner. After dinner, we celebrated our first day by going out for ice cream in a "Moto Taxi" which are like little open air taxi carts. Today was a great first day and we are all looking forward to another productive day tomorrow somewhere else! I'm sorry that there are not more pictures but our internet is a little spotty- please check out the Hope Without Borders Facebook page to see more pictures!